December 9 weekly horoscope according to your star sign. HOROSCOPES: The controversial week in the planets, according to your star sign. Natasha Weber is an astrology genius, and has predicted all of our horoscopes for the week beginning December 9. For more from Natasha follow her on Instagram and Facebook. La Luna glows in your sign by week’s end, allowing you to change the outcome of an unsatisfactory situation. Rather than complaining or feeling victimised, write yourself a new script. Visualising your desired outcome will work wonders in helping you achieve your goals and attracting the type of relationships that support you in becoming the best version of yourself. You are more powerful than you realise, Aries. A lucrative deal or investment opportunity promises to grow your money tree this week. It&apos;s safe to proceed provided you have done your research, now that Mercury’s retrograde is over. The planet of information will bring the necessary details to light, so pay attention. If you’re involved in an online business, there is profit to be made through an exciting collaboration with a popular account. Don’t be afraid to reach out. Mercury, your planetary ruler, enters your relationship zone on Thursday, encouraging you to reassess your needs and think about what you want from a partner. Whilst it’s a good thing to want the best, be careful not to over think yourself into a hot mess. Don’t be lured into believing the grass is greener on the single side of the fence if all your relationship needs is a little extra spice. Singles are encouraged to throw away their list of potential partner prerequisites. You may be overlooking a perfectly suitable option that’s right in front of your eyes. At the very least, update your list or rethink where you are prepared to draw the line. You don’t have to lower your standards but it&apos;s important to be realistic. Otherwise, the best catch may just slip through your fingers. The Sun’s clash with the Moon on Saturday may ruffle some feathers within your social circle. Loyalty will serve you well and come back to reward you but only if you don’t participate in gossip. Unless you are sure of the facts, keep your opinions to yourself and try to empathise by seeing the other person’s perspective. You never know when the shoe will be on the other foot. A weekend escape or short journey is sweetened by Venus, the planet of amore. Loved-up couples enjoy a break from routine which injects some fresh air into their relationship. Singles are likely to find love during an out-of-town jaunt. If travel is not on your agenda, make sure you are looking fine on your next trip to the local supermarket. Bumping into your soul-mate in the most unlikely of places is on the cards this week. Your focus switches to money matters on Tuesday when Mercury clashes with erratic Uranus, destabilising your finances. Double check your credit card statement and guard your online spending. Only make purchases from secure sites in order to avoid falling victim to fraud. Don’t worry though, in the event of the worst-case scenario, you will retrieve any lost expenses. When you love something, you are prepared to fight to the death for it, Scorpio. But if a relationship is becoming a constant power struggle, perhaps you need to rethink your loyalty? Back yourself. Own your power and you won’t have to fight for it. Mercury will bring you the clarity you need to make an important decision before moving out of your personal sector by week’s end. With the abundance of cosmic activity occurring in your sign, you have the ability to make or break this week. This is not as scary as it sounds because ultimately, the power rests with you. Mercury offers you a choice. Settle back into your comfort zone and take the easy road or confront and conquer. Hint: you were not born under such a fierce zodiac sign to lead a life void of adventure. Bold and brave is the way to go. Your zone of rest and recuperation is being heavily activated by the cosmos this week. Listen to your body’s need to restore. Prioritise quality sleep and take a break from your demanding work schedule, if possible. You are a high achiever Capricorn and can drive yourself mercilessly towards success but it’s important to balance effort with reprieve if you expect longevity at your best. 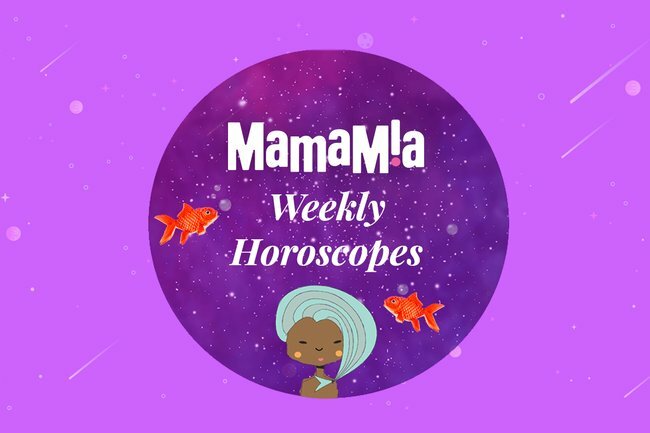 You may be feeling extra sensitive mid-week when La Luna graces your sign. Heightened emotions could be overwhelming your better judgement, so allow things to settle and avoid big decisions until week’s end when you are able to tackle issues with a clear head. Your challenge this week is to find the balance between your usual cool logic and your heart. The Moon in your sign on Thursday encourages you to dream big! If you&apos;re having trouble gaining clarity on what your heart desires, keep a journal beside your bed to write down your thoughts and inspirations upon waking, when your mind is at its clearest. Confidence can be a challenge for you Pisces, so use Mercury’s shift into your zone of goals to help get you motivated.